After spending the better part of an afternoon watching videos on Screenings.io it became painfully clear that I needed to share this fantastic resource with all of the readers of Design Instruct. 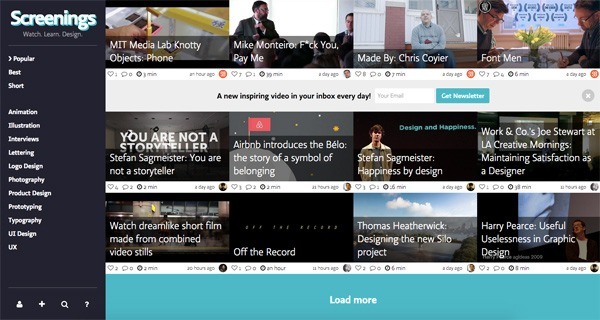 Screenings.io is filled with the best design videos from the best people in the creative industry. Some of the videos are new, some are classic, but all are invaluable to any creative who needs a reminder as to why we do what we do. If you’re feeling a little discouraged or lacking in inspiration, do yourself a favor and head over to Screenings.io and spend a few minutes rebuilding your mojo. Tell us about your favorite design design videos in the comments section below. 7 Excellent Websites for Learning Sass	What Are You Working On?